The first known Christmas Club in America was established 1909. We have offered Christmas Club saving accounts since the great depression of the 1930s. 2018 Christmas Club checks were mailed on Thursday, October 25. 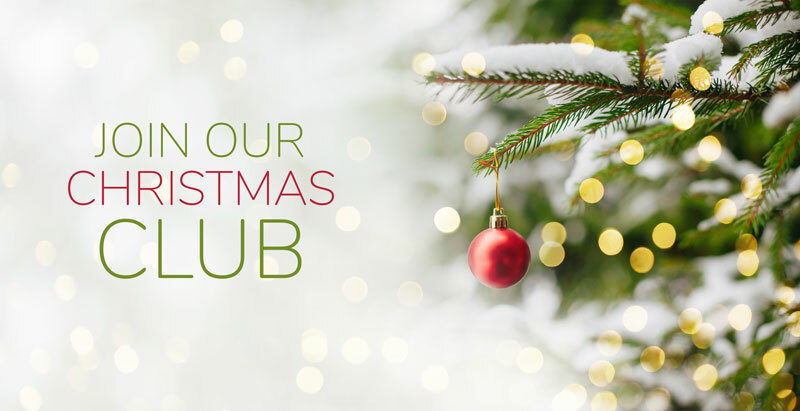 Open your 2019 Christmas Club account now at any of our full-service branches. You may sign up for an automatic transfer from your checking or saving account to your Christmas Club account for added convenience!